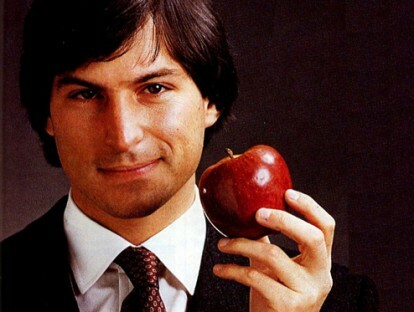 Facebook drive-by via “friendly” fire to avenge a criticism of Steve Jobs? “While Jobs’ designs for computers may have put humans at their center, working conditions for Apple’s workers put profits at their center. Jobs did indeed revolutionize the computer industry, but in a way that was negative for American workers, who for decades have seen manufacturing job prospects dwindle as jobs go to workers overseas, who in turn often labor in brutal sweatshop conditions. Many people may find it distasteful to critique the life’s work of a man in poor health, but I think it’s necessary to critique Job’s labor practices: I’m certain most profiles of Jobs’ tenure will completely avoid mentioning systematic labor rights violations that occur at Apple. The computer industry was seen by many as the potential saviour of American manufacturing. According to former Intel CEO Andy Grove, in the 1970s there were about 150,000 Americans working in the computer industry. Between the 1970s and now, the computer industry economic footprint grew from being a $20 billion a year industry to $200 billion a year. At the peak of U.S. employment in the computer industry, there were two million people employed in making computers in the United States. Now, with most computer manufacturing being done overseas, there are only 150,000 Americans employed in the computer industry, according to Grove, who wants to reverse the trend. Damn, blasted for thinking different? How do you like them Apples? 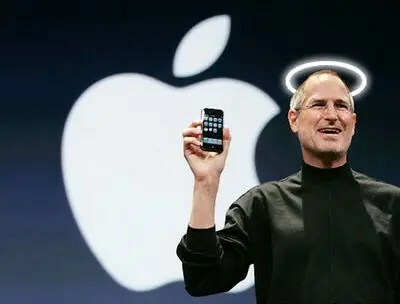 This entry was posted on Saturday, October 8th, 2011 at 9:01 pm	and tagged with Apple, Apple fanboys, cassiterite, child labor, China, Chinese sweatshops, Coltan, conflict minerals, Congo, conscious consumer, exploitative, Facebook, factory suicides, Foxconn, Gold, ipad, iPhone, ipod, macbook, Mike Daisey, n-hexane, overseas manufacturing, poisoning, Shenzhen, slave labor, Steve Jobs, Taiwan, wolframite, worker suicides, Workers' rights and posted in Uncategorized. You can follow any responses to this entry through the RSS 2.0 feed.